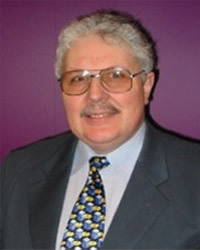 Rod Appleyard is a trained and listed arbitrator for disputes within the construction industry. It is a fact that any party (involved in a contract) can refer any matter to arbitration as long as it is an agreed mechanism between the parties. This is a remedy to contractual dispute that has stood legal test for over 300 years. However, in modern times the law has been continually evolved and we now carry out arbitrations in the UK under the ‘Arbitration Act, 1996’. This affords the same gravitas as the courts although can be carried out privately, which for many parties in dispute, is preferred. Arbitration is capable of resolving many types of dispute and due to this capability can often be found to form part of a contract as an explicit term of dispute resolution within that contract. Rod Appleyard has been appointed an arbitrator in many cases involving land disputes, contractual matters, performance issue, negligence and a plethora of construction matters for, both, industry and private individual. He sits on the regional committee of the Chartered Institute of Arbitrators (CIArb) of which he is a fellow. He is also listed with the RICS so you can be sure of a robust service. Verification Associates | Powered by Mantra & WordPress.